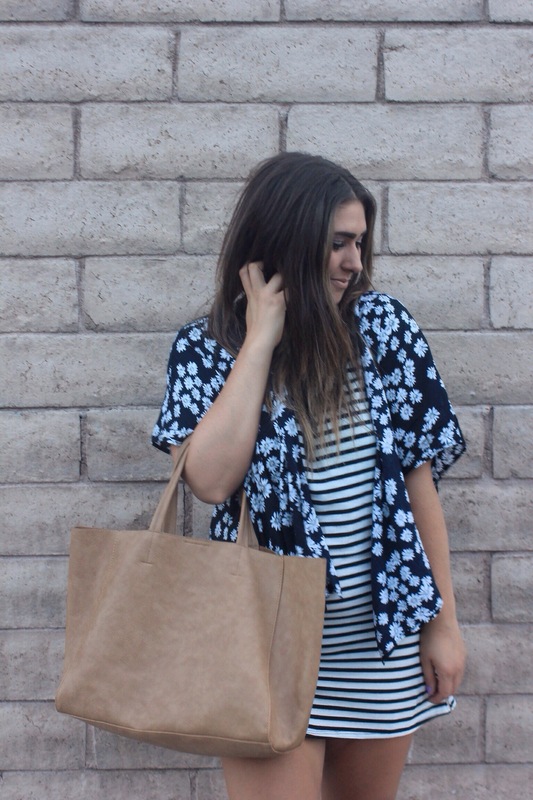 Two trends I’ve been eyeing this spring season is the kimono & the daisy pattern, both of which I love. I have about 3 or 4 kimonos of all spectrums in my closet as of late but had yet to find a daisy patterned piece that worked with my other latest obsessions. Well, last week I found both in one! 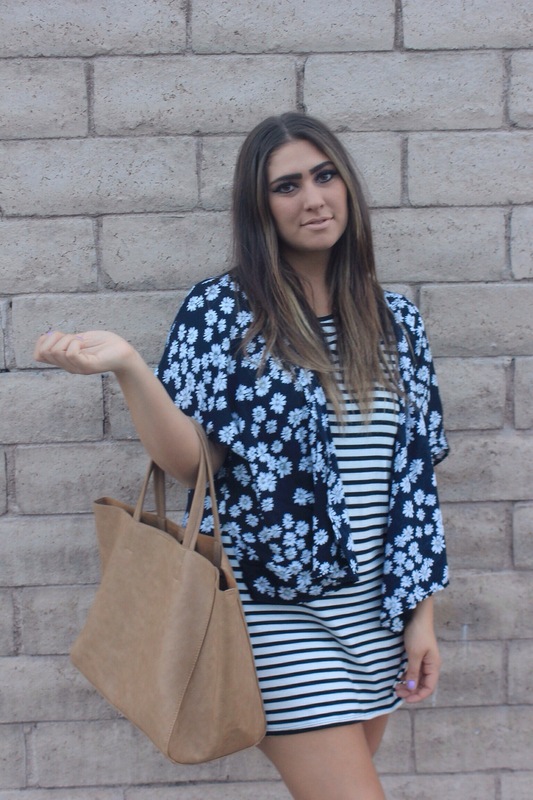 I was at Forever 21, of course, & I spotted this daisy kimono in midnight blue. It was so perfect that I went straight for it & it ended up only being 14 dollars. Can you say deal? Deal! I was so getting this thing no matter what else my eye caught that day. I knew it would be great for chilly spring days & breezy summer nights. I paired it with a black & white cotton tunic dress yesterday & a pair of white leather flats. 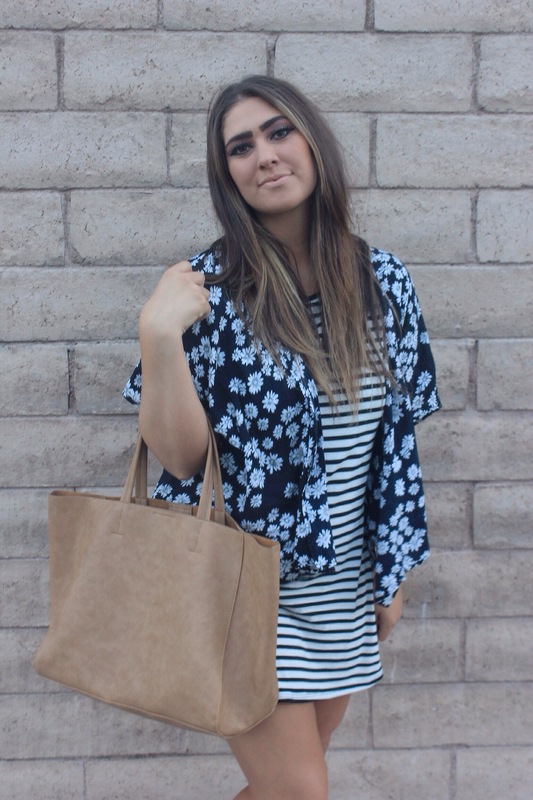 It made for the most perfect outfit to go shopping around in while I was visiting my brother in Vegas. I picked up so many good pieces yesterday out shopping. I can’t wait to show you! They were all on sale too! BONUS! I think I need to pick up a kimono. It looks like they’re all the rage!